The Hollywood actor – who has a five-year-old daughter, Suri, with actress wife Katie Holmes, as well as two adopted children, Isabella, 19, and 15-year-old Connor from his marriage to Nicole Kidman – likes all his gifts to be personal so would never send an assistant out to buy them. He said: "We go out and get them. We go to the shops." The 'Mission: Impossible – Ghost Protocol' star says he and Katie love the holiday season and really enjoying decorating their house. During an appearance on 'The Jonathan Ross Show', he said: "It’s huge. It’s my wife’s favorite time of year. Suri loves it. She loves decorating the tree and she’s very creative. She’ll create ornaments, so there’s lots of arts and crafts in the house. It’s fantastic." 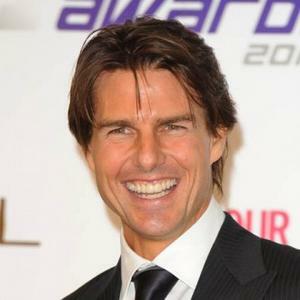 Tom, 49, also revealed how he didn't tell 33-year-old Katie about the stunts he had to perform in 'Ghost Protocol' until he'd done them because he didn't want to worry her. He said: "It was pretty grueling. We were there for eight or nine days. The first time I went off the building it took my breath away. "We say afterwards, but she knows me. She knows I do everything to make it as safe as possible."